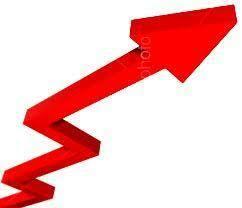 The markets today opened smartly higher on the back of positive global cues. The broader market stocks remained in demand in the early trade as both the BSE Mid Cap and the BSE Small Cap index are now trading with a gain of more than 1% respectively. The significant amount of buying witnessed across the board mainly led by the Auto, Realty, Banking, Metal and Consumer Durables stocks. The BSE Sensex is now trading above the 15100 mark and the NSE Nifty above the 4450 mark in the early trade. The BSE Sensex is trading up by 294.47 points or (1.99%) at 15,104.11 and the NSE Nifty is trading higher by 80 points or (1.82%) at 4,474.10. The BSE Mid Cap is trading higher by 66.33 points at 5,500.39 and the BSE Small Cap grew by 64.26 points or (1.02%) to 6,372.65. The Overall market breadth is positive as 1146 stocks are advancing while 378 stocks are declining and the 44 stocks remained unchanged on BSE.